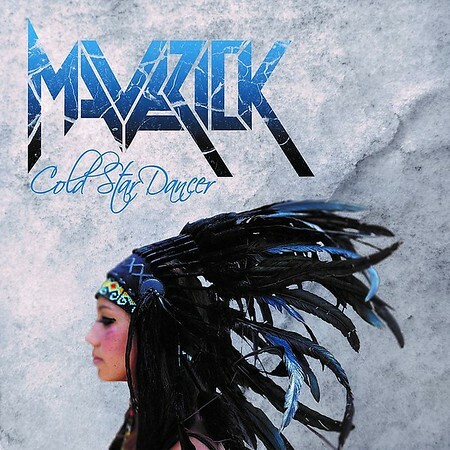 “Cold Star Dancer” is the third album to be released by local rockers Maverick in just four years and it highlights the growing confidence and maturity of the band. It was released on 6th April through Metalapolis Records, the same label that released the previous album in 2016. So far I’ve featured three tracks from the album on the Friday NI Rocks Show – “Myrmidon” on 23rd February, “Kiss of Fire” on 16th March and “Cold Star Dancer” on 13th April. Maverick formed in 2012 and released the EP “Talk’s Cheap” in 2013, followed by the debut album “Quid Pro Quo” in 2014. The band developed a strong local following and very soon was playing gigs further afield. After signing with Metalapolis, the album “Big Red” was released in August 2016. Singer David Balfour was my guest on the Friday NI Rocks Show at that time to talk about the album - http://www.rockradioni.co.uk/interviews/2785-ni-rocks-interview-with-david-balfour-from-maverick.html . He also appeared on Davy Warren’s ‘The Den’ on Rock Radio NI recently to talk about the new album “Cold Star Dancer”. There have been a few line-up changes in the band over the years. At the core of the band remain brothers and founding members David Balfour on vocals and Ryan Balfour on guitar, alongside bass player Richie Diver. New to the band is drummer Jonathan Millar who replaced Mike Ross. The position of second guitarist was originally held by Chris Van Engelen, then by Terry McHugh and it is now filled by Stormzone guitarist Steve Moore for live performances. Most of the guitars on the album were recorded by Ryan, but Steve plays on three tracks, whilst Ander Wikström from Treat plays on two tracks. The initial release features 11 tracks and a short intro. In addition to the tracks that I’ve featured on the Show so far, my favourites would include “Magellan Rise” and “Viper”. Interestingly this is the second album by a local band in recent weeks to feature a cover of a Rick Springfield track. No Hot Ashes had covered “Souls”, whilst Maverick have covered the much better known “Jessie’s Girl”.